Lately we’ve been reading many stories about people turning to their crafty sides to add spending money to their income during the recession. Buying gifts on Etsy.com has been great fun for me, especially when they’re made by a local crafter — which is how I found the talented Caroline Wolfe, who has graciously agreed to tell us about her wares — and, as a bonus, spill about her favorite spots over the decade she’s lived in Brooklyn! What advice would you give someone looking to earn extra income by launching a creative venture on Etsy? Realize that starting and maintaining an Etsy shop requires work and commitment. Pricing will likely be your greatest challenge. Be honest with yourself about the cost of your materials and shipping, and — most importantly — the value of your time and talent. Remember, you are saving so much by selling it yourself and selling it online. How have you promoted yourself? Most of my promotion has been word-of-mouth; I was also featured in an Etsy e-mail blast that brought a lot of attention to my Cities plates. I have had some press on design blogs, and in a couple of magazines, for which I am very grateful. Next year I plan to participate in some craft fairs. Do you have a day job? What are your goals for your Etsy side business? 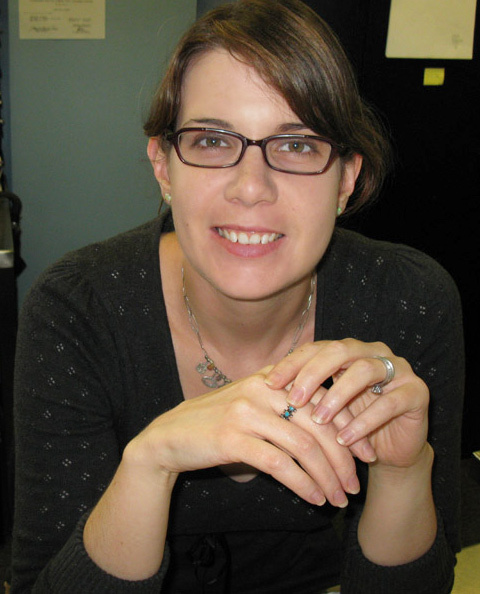 I am an event planner and designer; I also write about the industry for a handful online publications, and I work part-time at a school that teaches a course on wedding and event planning. I would like to expand the offerings at my Etsy shop. I am planing to include other crafts, and I am also planning big changes on the types of glassware and styles on offer. Look, it's Iowa! Caroline's "Cities" plates were a hit for holiday. 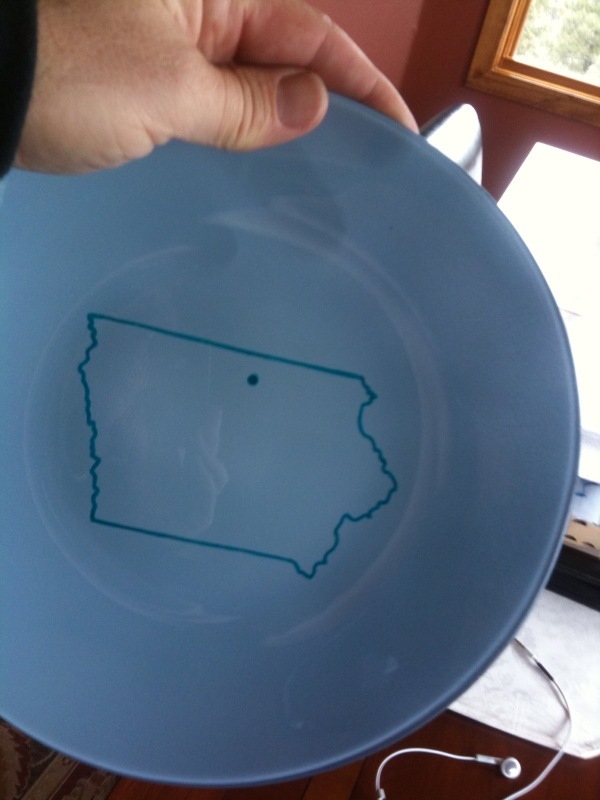 As you mentioned, your Cities plates have been a big hit. If you were to make six of your own plates for your favorite cities, what would those be? Great question! 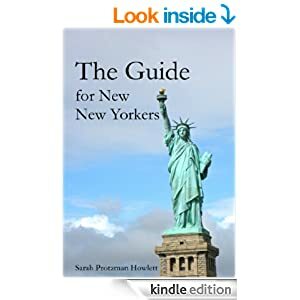 New York (of course); Chicago, IL; Portland, OR; London; Wellfleet, MA; and Washington, DC. 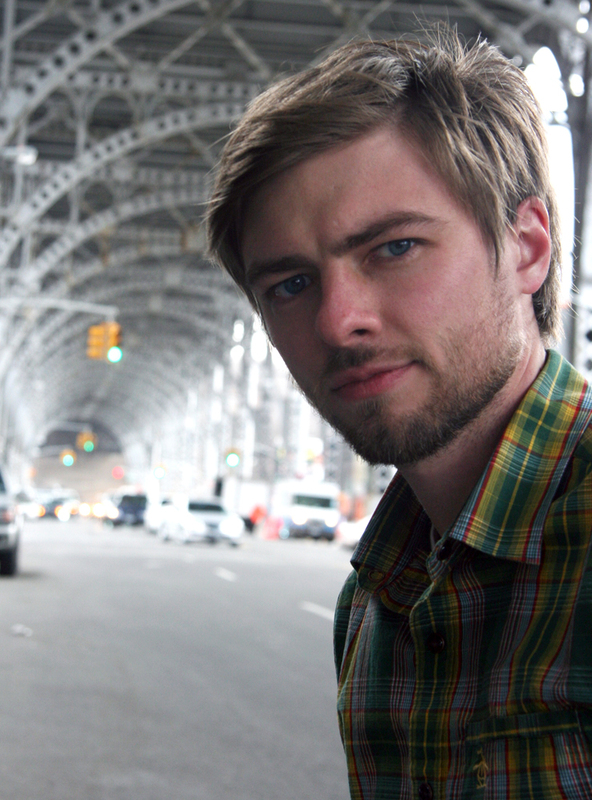 You’ve lived in Brooklyn since 2000. What neighborhood are you in, how has it changed in the past decade and what are you favorite spots? Since 2008, [my husband and I] have lived in Greenwood Heights. Favorite places? Definitely the cemetery. It is historic and so beautiful. Other favorite spots include Sidecar, Buttermilk Bar, Korzo restaurant, Monk Vintage Shop, Eagle Provisions, Adam’s Wines (amazing place), Tacos Xochimilco and Rossmans. In Cobble Hill/Carroll Gardens: Frankie’s Spuntino, D’Amico coffee roasters, Winn Discount for basics (although it has gotten pricier), Stinky Cheeses (totally irresistible), Alma Restaurant, Pizzazz (for baby and kid gifts), Downtown Bar & Grill (for burgers), Seoul Custom Tailor, and BookCourt. What can you recall about moving to NYC back then? I have never felt so liberated as I did as a 21-year-old in this city, and as I continue to feel living here. There is so much energy and so much to do. The trick is to get your bearings and establish a basic routine (this is where I get my groceries, this is where I do my laundry, this is my favorite restaurant or bar, this is how I get to and from work), a consistent path that you can jump off and back on whenever you need or want to. When I first arrived I wanted to experience everything I could. I went out a lot and managed to accrue a bit of debt. Living outside of my means was my biggest error — and luckily behind me. Visit Caroline on Etsy here. Mention NewNewYorkers when you order four or more plates and get a 10% dicsount! 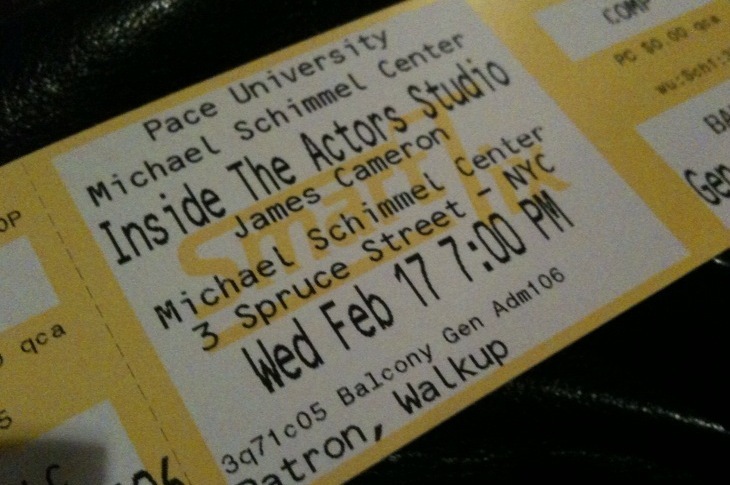 Last night I attended James Cameron‘s taping of “Inside the Actors Studio” at Pace University downtown, and it was one of those nights that made me appreciate just how unique a typical Wednesday night can become when you live in New York City. Just $15 to hear the great James Cameron? Yes, please. That we even snagged seats to this was a small miracle, given the fact that “Avatar” is still the No. 1 movie and has become the highest-grossing film of all time, followed by Cameron’s “Titanic.” I had about two minutes to decide to purchase the tickets (discounted through Goldstar*), as by then the floor seats had already sold out. Arriving at the downtown lecture hall, I saw a massive standby line. 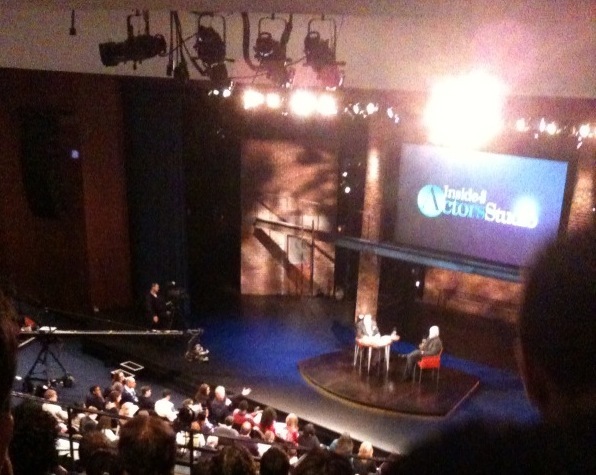 I’ve watched “Actors Studio” for years, and seeing James Lipton be all James Lipton-y in person was a real treat. Cameron was interesting, articulate and gave several entertaining anecdotes about the production of some of his most successful ventures, complete with the requisite clips and applause. James and James during the portion of the interview that featured Stephen Lang (front row with hand extended). It was a nice surprise to see Stephen Lang (“He likes to be called Slang,” Cameron deadpanned) in the front row, who played Colonel Miles Quaritch in “Avatar.” Two years on, he was considerably less bulked-up, but the master’s students in the Pace acting school applauded when he sat down, instantly recognizing him. Three hours later, the 4/5/6 took us home as we remarked upon how great it is to be able to see something like this on any given evening here in our great city. Though taping are irregular and only occasionally are tickets made available to the public, keep checking back here for schedule and ticket info, and follow them on Twitter here. I highly encourage you to check out Goldstar, by the way, and I’ll be posting more about them soon — they’re a WONDERFUL source for discount tickets to some very unique experiences!